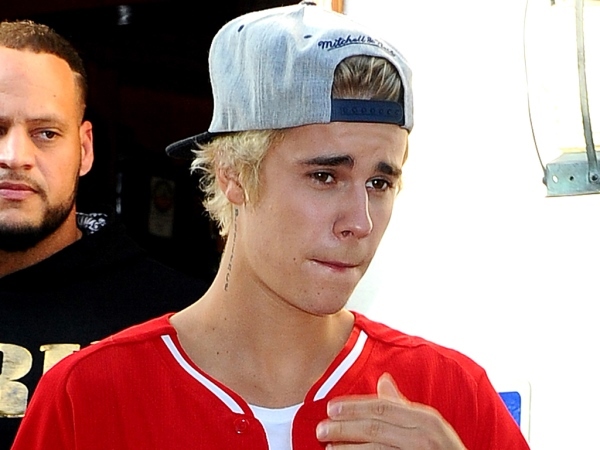 Justin Bieber has vowed to "be better" this year. The star celebrated his 21st birthday in style last night, hiring a private Caribbean island according to TMZ. In 2014 Justin was making headlines for all the wrong reasons, including egging a neighbour's home and being caught driving without a license. He's made several public apologies and seems to be turning over a leaf to celebrate hitting this milestone age. "Thanks for all the birthday love. Grateful for everything. Let's be better this year. Thanks," he wrote to all his fans on Twitter. "I really really really really really really like you (sic)"
Justin even gave his followers an insight into his celebration last night, posting a video on Shots. In it he's dancing to 50 Cent's In Da Club, which features the line "Go, shawty/ It's your birthday/ We gon' party like it's yo birthday." Earlier this year Justin appeared on Ellen DeGeneres’ talk show, but uploaded an explanatory video beforehand. In it he explained how the mistakes he's made have affected him and caused him to rethink his behaviour. “I just wanted to make a video because I wanted to express how I feel right now,” he started in the clip. “Today, I was on Ellen and it was a lot of fun. She’s amazing, it was her birthday, happy birthday Ellen! But I was really nervous. I think I was nervous because I was afraid of what people are thinking about me right now. He appeared on Ellen's show again shortly after his first visit, reiterating how much he wants to keep "growing".